This is a bundle of Remember This Stamp Set and coordinating die set. We are very excited about this stamp set as it compliments one of our very popular existing sets, Beautiful Day! 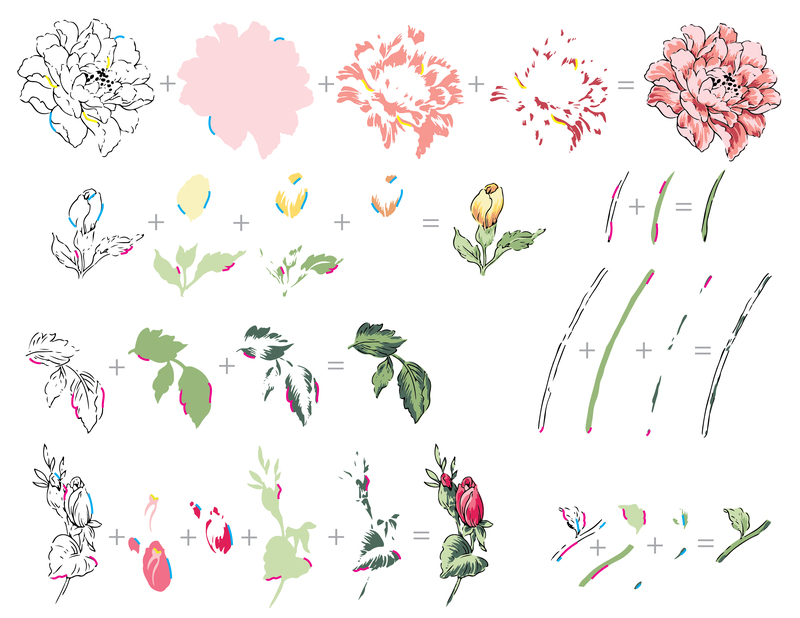 Not only will you get beautiful and intricately detailed floral images once you stamp all the layers, but you will also get to mix and match and create a variety of floral arrangements! Stamp Info: This is a 6" x 8" clear stamp set containing 32 stamps made in the USA from high-quality photopolymer. Die Info: There are a total of 5 dies in this set. The largest die measures about 1.39" x 2.42" while the smallest die measures about 1.56" x 1.59". This flower is smaller than most of the others so several of them fit onto a smaller card without looking crowded or over embellished. The set is versatile as well since the outline of the flower can be stamped then coloured with water colour, Copic markers or any other medium. Or the outline can be stamped over the flower and embossed for another great variation. An amazing set. It's a staple in my card making!